Inside the glittering walls of a famous hotel, an ingénue experiences first passion . . .
As she stands before the gilded doors of The Grand Russe Hotel, Alecia Loudon is poised on the threshold of a profound awakening. It is the Roaring Twenties, and London is buzzing with opportunities for adventure . . . and indiscretion. The young personal secretary knows nothing of the ways of men, but a chance meeting with the hotel’s handsome night watchman sets her imagination afire. Ivan Salter has noticed the quiet Englishwoman and wonders what delicate beauty might be lurking behind Alecia’s plain clothes. As the handsome Russian draws Alecia further into the hotel’s luxurious world, he introduces her to fine food, cool jazz, and forbidden assignations. Their dalliance is tested, however, by a surprising link between Ivan’s family history and Alecia’s bosses. Tangled up in international intrigue, the lovers must decide if their sparkling new romance is worth the cost . . .
“It isn’t midnight yet,” Alecia said when she spotted Ivan Salter coming toward her. She told her traitorous heart rate to slow. While he might be handsome, he wasn’t kind. She’d asked the Russian chambermaid who cleaned her room what myshka meant. Little mouse, indeed. An insult. She had thought him a creature out of a fairy tale. As he approached, not speaking, she lifted herself from her slouched pose along the wall and straightened her shoulders. Pins holding her too heavy hair in its prim bun dug into her scalp. She needed to take it down and go to bed, but the music had drawn her. Better than a lumpy mattress, the Lusitania sinking. When he was two feet from her, he stopped. His gaze wandered the space, taking in the empty sofa, and, oddly enough, the carpet. He cocked his head. She wilted when he sucked in his cheeks, highlighting the magnificent structure of his cheekbones. No. He may have every blessing God might offer a man, but he was only a night watchman. She was just a secretary. Unless she was breaking a rule, he had no right to intimidate her. She would not be cowed. “Say something,” she said very crisply, as if she was dressing down a young nephew. His lips curved. She felt a sinking sensation in her midsection. How dare he look so knowing? “By you?” How stupid she was, to say this. His teeth were exposed by his widening smile. The top row was perfect, but his two lower front teeth were just a little crooked. She fell in love even more. In lust? “How dare you!” Outrage bubbled in her lungs. She could not find any other words. But the truth was, she could find another thought, even if she couldn’t say it aloud. She wanted to be kissed. By him. 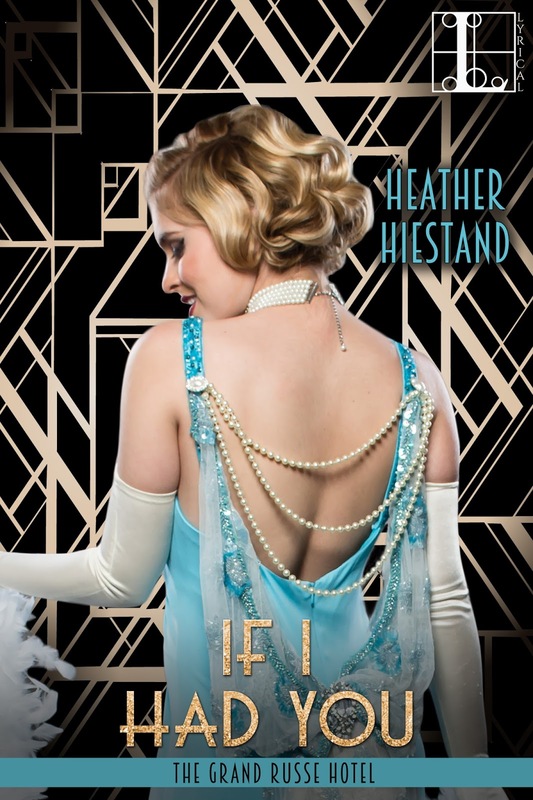 The 1920s are in full swing when Sadie Loudon leaves her grandfather’s stodgy vicarage, and she dreams of the glamour and excitement she’s seen on the silver screen. But before she even begins work at the storied Grand Russe Hotel, she is ushered into London’s glittering nightlife by a handsome young businessman intent on introducing her to the pleasures available to a Bright Young Thing. Is it a fleeting romance…or something even more intriguing? Heather Hiestand was born in Illinois, but her family migrated west before she started school. Since then she has claimed Washington State as home, except for a few years in California. 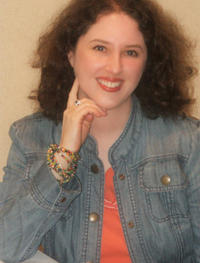 She wrote her first story at age seven and went on to major in creative writing at the University of Washington. Her first published fiction was a mystery short story, but since then it has been all about the many flavors of romance. 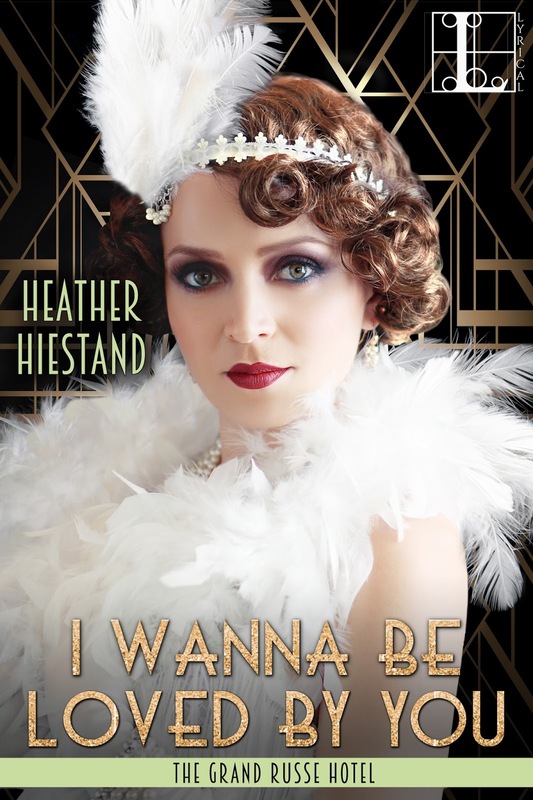 Heather’s first published romance short story was set in the Victorian period, and she continues to return to historical fiction as well as other subgenres. The author of many novels, novellas, and short stories, she has achieved best-seller status at Amazon and Barnes and Noble. With her husband and son, she makes her home in a small town and supposedly works out of her tiny office, though she mostly writes in her easy chair in the living room.